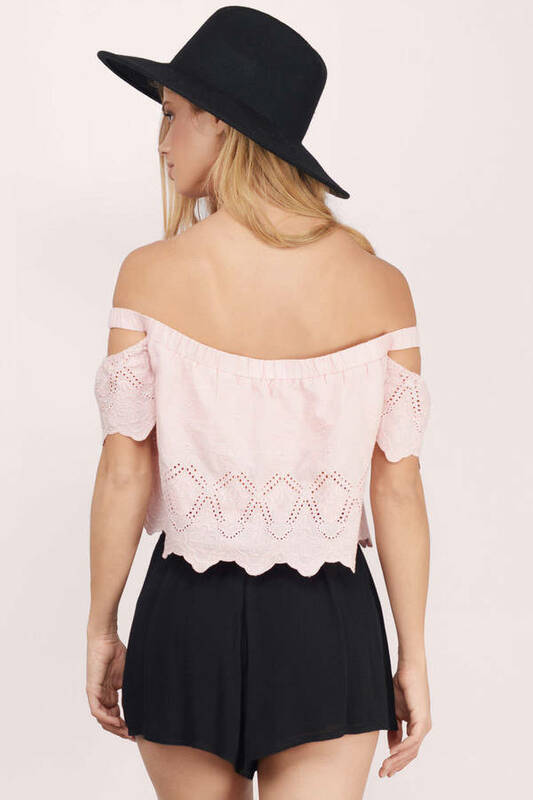 Check out Tobi's Sunset Beach Eyelet Crop Top Designed by Tobi. 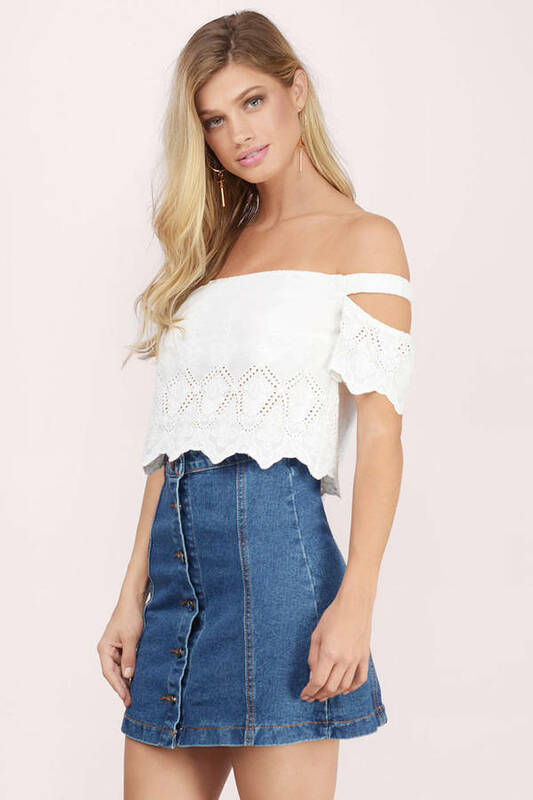 The Sunset Beach Eyelet Crop Top features off the shoulder and detached sleeves. Cropped at the waist with a flowy body. Perfect to wear with slim or wide legged jeans. Designed by Tobi. 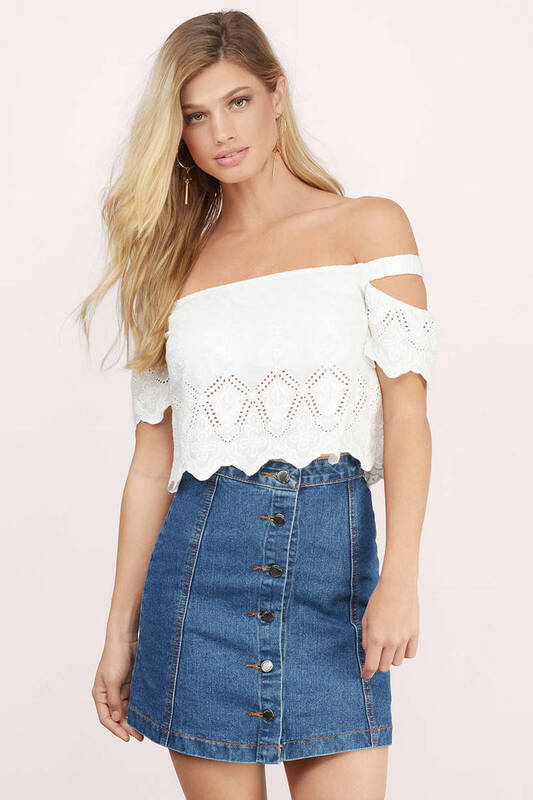 The Sunset Beach Eyelet Crop Top features off the shoulder and detached sleeves. 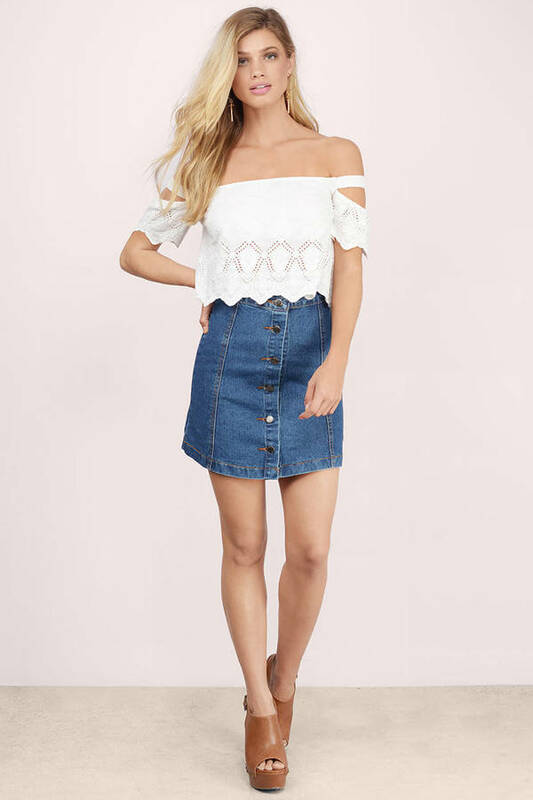 Cropped at the waist with a flowy body. Perfect to wear with slim or wide legged jeans. Blush, Ivory & Navy modeled on a size Small.